The Canadian Lakes amenities list is just another reason why the good life is found here. 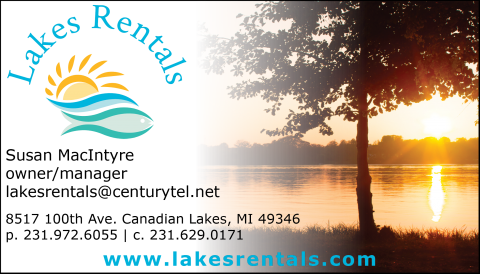 Beside our most appealing assets such as our lakes and golf, members and their guests have an indoor and outdoor pool, enclosed dog park, many sporting venues and even a 4200-foot, lighted and maintained, grass air strip. Add our multiple community buildings and pavilions together with 80 areas of common parks, family time it easy to come by. Top it all off with an exclusive private and modern 350-site campground. Yes, Canadian Lakes… the GOOD life. Just an hour north of Grand Rapids and a few hours northwest of the Detroit area, is what may be the most beautiful enthralling Michigan up-north community – Canadian Lakes. And here, the good life is found. The story begins in 1963 when Donald Bollman had a vision and that vision still rings through to a community where members and their guests delight in private amenities nestled into the lush woodlands that only the Michigan landscape can offer. Members and their guests enjoy the indoor and outdoor pool, fitness center, hiking, biking, ice skating, snow tubing tow, cross country skiing, tennis, softball, basketball, pickelball, and even disc golf plus more. Top all that off with exclusive waterways, golf and dining and even their own airstrip. Canadian Lakes is above all things a vibrant and immanently social lifestyle, a home away from home or permanent place to call home. You too could have all this through property ownership so connect with your Realtor or plan your visit to Canadian Lakes today! Membership means you have access to all community venues in Canadian Lakes. Who wouldn’t want their wedding at a castle? Canadian Lakes showcases the Highland Haus, Alpine Haus, The Castle and the Royal Grille. Many outdoor venues are also here for enjoyment, including the Ruether Music Pavilion where each summer hundreds gather to relish in the sweet sounds of music either by land or water. Kids at Canadian Lakes are the luckiest! So much adventure, so much to explore, so much to experience! An array of area adventures are always available for our youngest members and their friends. Whether it be the Kids Golf Program at The Royal taught by Dennis Wolfe, PGA Professional or tubing behind the boat……giant weekend adventures or year-round exploration awaits to each imagination born. Kids can camp in the private campground, ice skate or tube down the giant hills and Canadian Lakes even has a tow rope to help them back up the hill. Kids will have so much fun in Canadian Lakes, you’ll wish you were one of them again! Part of the GOOD life at Canadian Lakes is the many social groups found within the Canadian Lakes Association. Members spend time and find great joy with over 50 different clubs like pickleball, quilting, theater, music, classic car, cards and more. Most likely, if there’s a sport or hobby, there’s a club within the Canadian Lakes Association. Click below to find out more information. Part of living the GOOD life in Canadian Lakes is that you have that “off the grid” feeling yet you are connected to modern day by the always growing commerce in Canadian Lakes. Healthcare here showcases not only two family practice facilities and one with lab services, but also chiropractic, eye and dental care. Everyday needs are at your fingertips with full grocery, hardware and convenience stores. 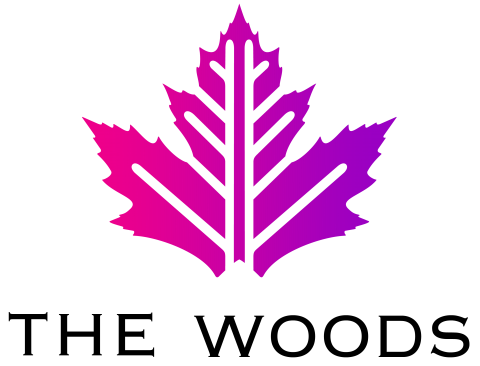 Financial services are taken care of as Canadian Lakes’ businesses offer accounting, banking, insurance, real estate, title services and financial planning. Top that all off with personal pampering, dining and boutiques…Canadian Lakes’ business district is booming! in the heart of Canadian Lakes for your convenience. in the heart of Canadian Lakes. When you enjoy a stay at a vacation home located in Canadian Lakes, you’ll enjoy the amenities of Canadian Lakes during your visit. 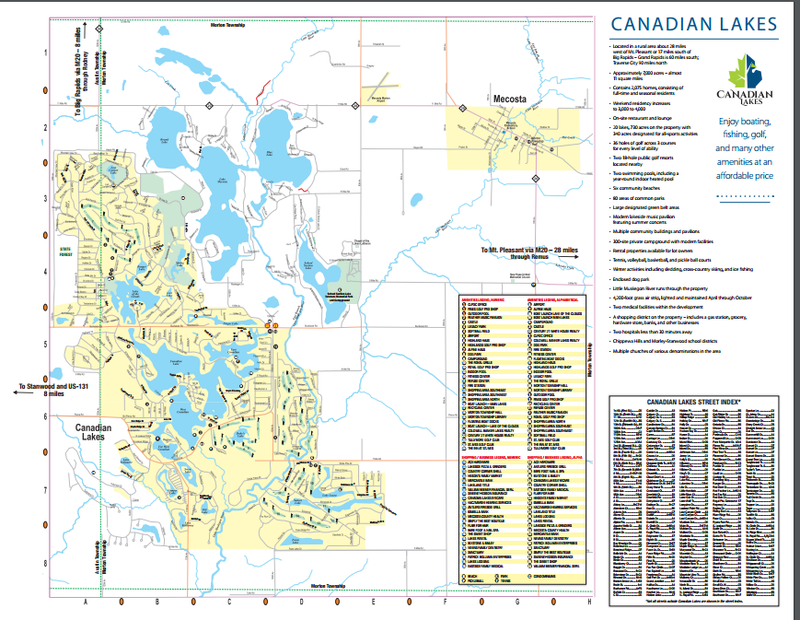 For complete amenity information visit the Canadian Lakes Property Owners Corporation Office.